Two nights ago, I happened to be at the media launch of the Global Pinoy Bazaar 2012 at the Indie Arts Home, Fort Bonifacio. 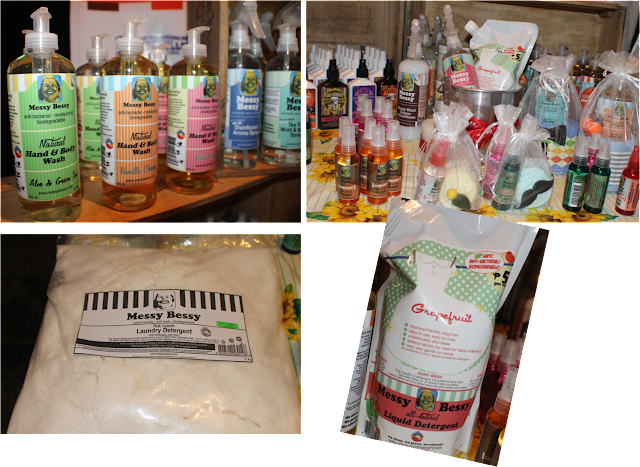 The Yabang Pinoy Filipino Pride movement celebrates its 8th year by celebrating PHmade products worth buying. Together with fellow bloggers we were introduced to their mission and vision of seeing locally made products with utmost quality and ingenuity strive the existing market with pride. I guess I do agree with them that we can also create brands to match imported ones in terms of uniqueness and sustainability. 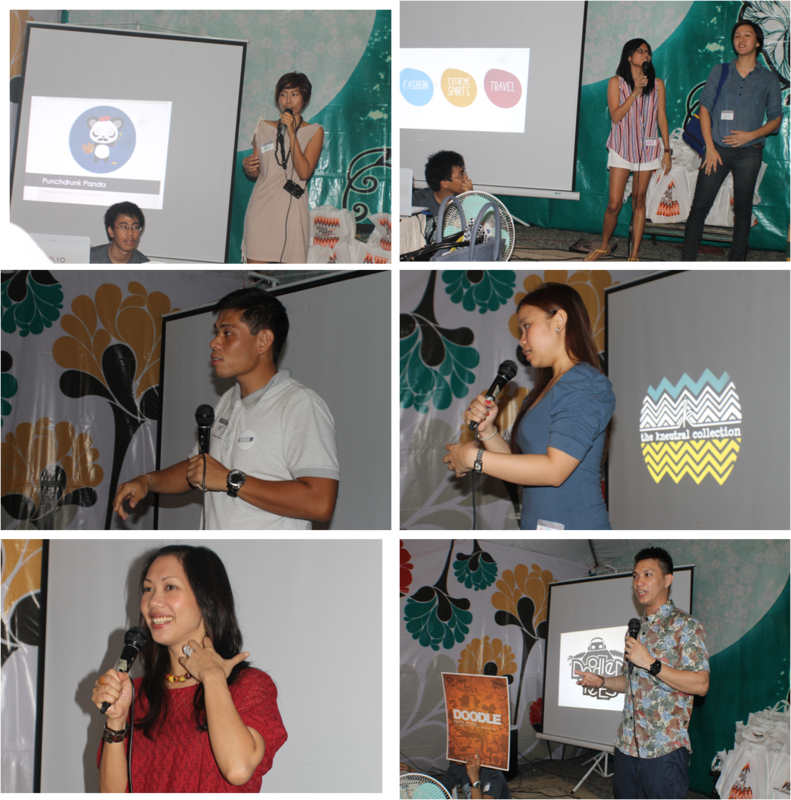 Topping off with the advocacy behind every name brands. Above is collage of photos of the people behind the Yabang Pinoy Movement. The people who believe in the goodness, industry and creativity of each Filipino. With all that said let me introduce the 8th Global Pinoy Bazaar which will be on November 10-11 at the Rockwell Tent, Makati City. It's going to be one heck of a shopping experience for sure. I'm actually right now saving for it. I'm planning to do my Early Christmas shopping there. Here are just some of the products we got acquainted with. Mommies like me would definitely want to try these, and yes I got to go home with some of these. 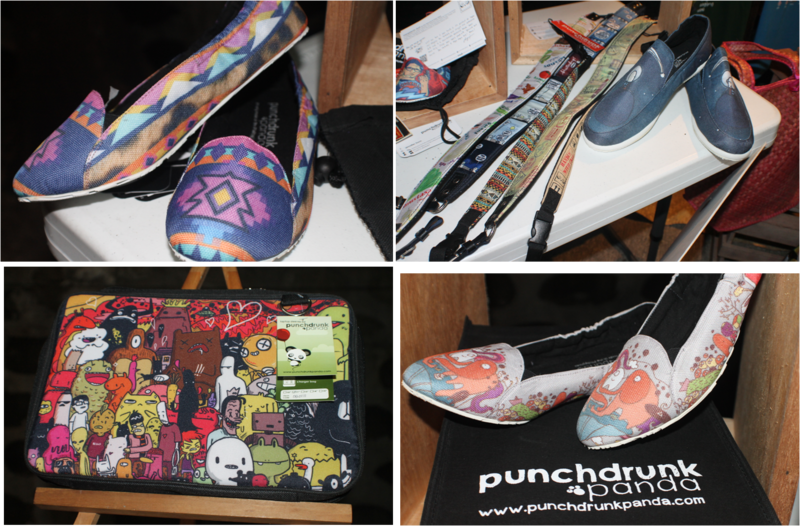 Global Pinoy Bazaar 2012 will feature a lineup of brands and products made with 100 percent Filipino Love and Pride: in ladies', men's, and children's apparel, accessories, jewelry, bags and shoes, beachwear, travel accessories, home décor, home and wellness products, as well as Filipino art and design. “We would like to showcase Filipino culture and the Filipinos' passion, creativity, pride and originality through handcrafted accessories, art pieces and products. We believe that constantly improving our products and making our humble business grow is the best way to support our local community and the Philippine economy,” shared Elaine Orozco. 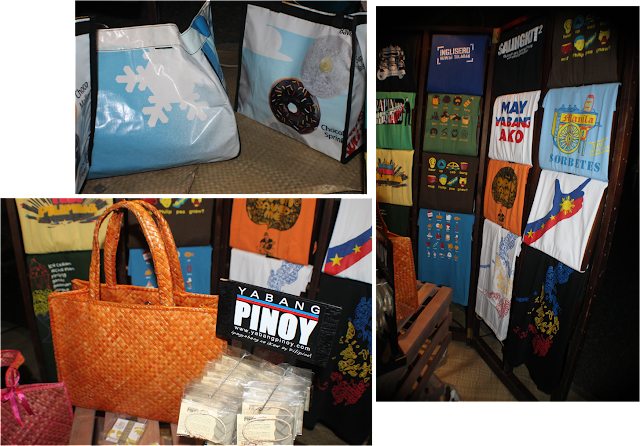 “Global Pinoy Bazaar showcases the brilliance in design and craftsmanship of Filipino entrepreneurs. 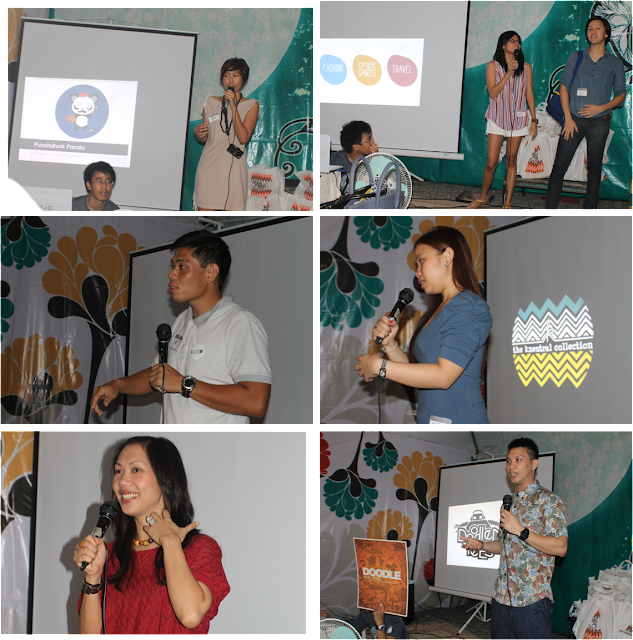 Global Pinoy Bazaar is about furthering the movement to instill pride among Filipinos on homegrown talent and locally-made products,” reiterated by Willite Fajardo of Silly Monkey Clothing. Other exhibitors include Agos Pilipinas, Dodong Purontong, Doodled Tees, MY Likha, Rurungan sa Tubon Foundation, DCG Fashion, Babaylan Treasures, Bead It By Mikki, BUG&KELLY, Cultus Couture, Designs By Abby Jocson, Dragonfly Desserts, Whisk, Erb and Chet, Erzullie, Estrellas Manila, HDY Trading, Home and Office Accessories, I love Koi, Kandi Treats, Likhang Artesana Inc., Lotus Bloom, Lulu Swing, Marble and Co., MISISPI, Papelapelap, Pic Season, Polymer Guild of the Philippines, Precious Herbal Pillow, Sabrina, Sewn Sandals, Sinude, Sol Accessories, Manila Sole, Storage Solutions, SUELAS, The Artland Printer, The Greenbean Company, Theo and Philo, Ti & Me Handiworks Co., TONI & BERNE, Toppicks Clothing, Tribute Shoes, V&M Naturals, Vesti, W.E Garage, Your Unik Xchange, Zeal Carry Enterprises, Zelisse Intimates, Tinywonder Trading, DCG Fashion, Aromateria Scents & Sensibilities, With Love Clothing, Pink Label, Yadu, Kape ni Juan, among others. So are you ready to shop?! 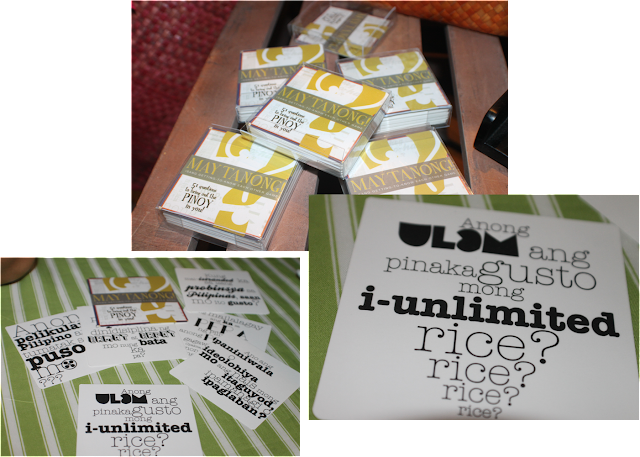 There is actually an entrance fee at the bazaar, but here is a wonderful surprise from Yabang Pinoy Movement and Gastronomybyjoy.com. We will be giving free entrance slots to 10 winners. Wait not only 1 slot per winner but 5 slots. Again 10 winners will get each 5 free entrance slots. 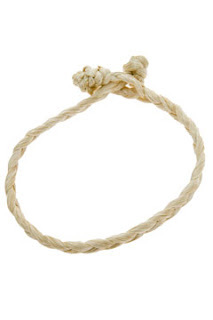 The signature abaca bracelet of the Yabang Pinoy PH movement. I will announce the winner on Nov. 3, 2012. 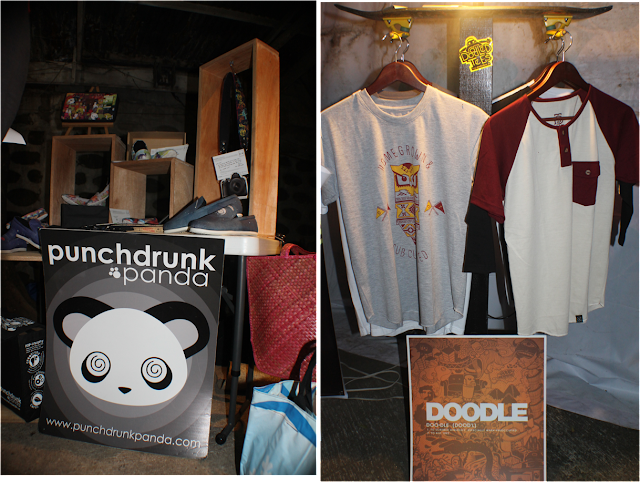 See you all the hippest bazaar that's made for us, Pinoys! Visit www.yabangpinoy.com for more information. For questions or inquiries, call 0927-611-5624 or email bazaar.globalpinoy@gmail.com. Joined! To support Yabang Pinoy, of course is to purchase products with partnership to the org. Also, by getting in to the bazaar and know more of how Filipinos can be inventive and authentic!